Isn’t it obvious? The importance of good health, that is? I guess it must NOT be obvious given how we as a nation eat and behave. Consider this – you’re born with a healthy heart (and this is considered NORMAL). But then… we (as a group in general) trade in physical activity (as was typical of earlier generations) for more sedentary pursuits. Add a touch (or a ton) of processed foods, carbonated beverages, and chemical ingredients that no one without a PhD in Chemistry can pronounce, and what do you have? Over 85 million – yes OVER 85 MILLION Americans’ have some form of cardiovascular disease – go ahead, check me on that statistic! Why don’t we hear more? I can guarantee you if 85+ million had the common cold at any one time, it would make front page headlines. So, why not cardiovascular disease? After all, it is MUCH more serious than the common cold, isn’t it? I believe it boils down to this: cardiovascular disease is a SILENT disease in many cases UNTIL it strikes – and once it does, IF you survive the “event”, the “fun” is just beginning – a wealth of visits to a number of different specialists. Combined with a regimen of drugs, you and your life savings are sure to be separated in short order. 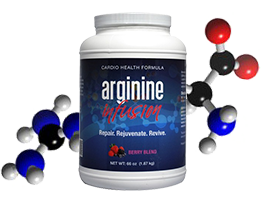 I hate to place any one thing on a pedestal, but of all the preventative approaches, arginine, a semi-essential amino acid seems to be a viable answer. I trust it to the point that I take it myself DAILY. According to WebMD (and other sources), here is why we need arginine. 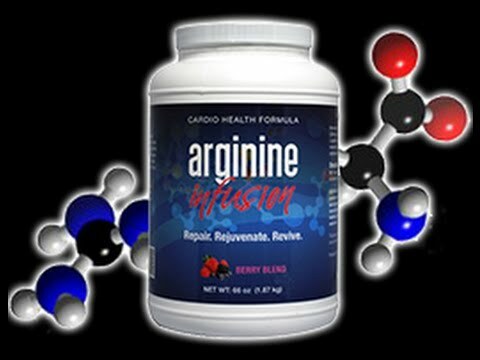 Now the reality is, your body CAN produce all the arginine you need, so why supplement it? Simple, it ONLY produces arginine when you EAT RIGHT and get ENOUGH EXERCISE… ‘nuf said? So, without sounding like a “pitch man”, I’m going to point you to the Arginine formulation I use personally – I selected this one based upon ingredients and believe it is priced to be highly competitive with ANY other arginine produce on the market. So for me, my plan is reasonable exercise, good diet rich in natural foods including fruits and veggies, AND a daily dose of 5g of Arginine.